For Alta Magazine’s Summer 2018 issue, I created a full page illustration to accompany a feature about the future of transportation in California. 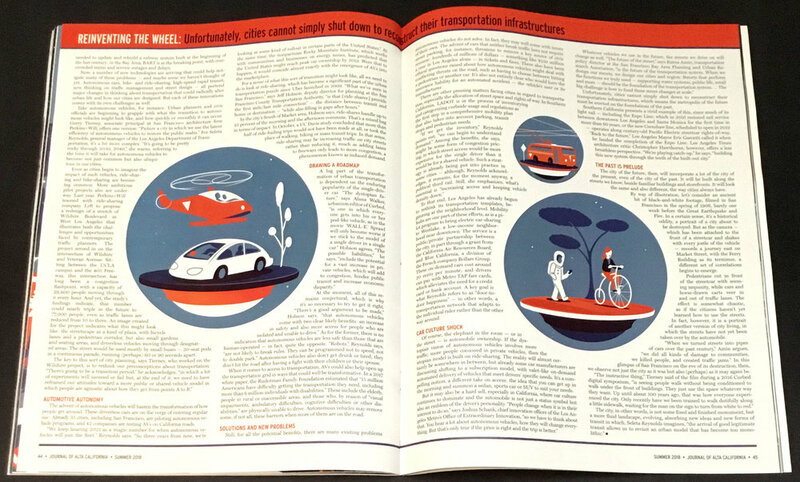 The article focussed on public, commercial, and personal modes of transportation that address issues like environmental impact, infrastructure and the barrier of California’s coveted “car culture”. Below is the artwork for the full-page and supporting spot illustrations.